Everyone knows that hiring within an organization can be a stressful, confusing, and tedious process. Business owners, organization leaders, and hiring managers all want to choose the best job candidates so their companies can experience more productivity and less turnover. But most companies operate under a broken hiring system, and they may not even realize it. The healthiest organizations are successful because they have perfected the art of hiring. When you adopt proven hiring strategies, you can finally retain a steady flow of talent to fill open job positions and replace underperforming employees quickly. And when your hiring is fast and accurate, you get to focus on your company’s performance instead of managing bad hires or struggling under an increased workload while you search far and wide for the perfect candidate. The standard approach to hiring is to conduct interviews where candidates talk about work. Not only is this a huge drain on time, it’s also an inaccurate way to assess whether a candidate fits your job. That’s why many business owners have replaced traditional interviews with experiential, or “hands-on,” interviews. 2. Cultivate a diverse workforce. It’s no secret that diversity in the workplace is a good thing. An inclusive workforce helps businesses better serve their diverse client base, and research even shows that the most diverse workforces are likely to generate better financial results for a business. Slight adjustments to your hiring profiles can substantially increase the flow of diverse talent. For example, for years a large banking institution had required candidates to have finance degrees. However, they noticed that top candidates at competing banks didn’t have this requirement. They changed their own requirements and asked for candidates with any type of two- or four-year business degree. This led to a richer flow of highly diverse talent, resulting in some of the best hires they ever made. 3. Line up key people before you need them. Some roles are more vital than others, and when these roles are left unfilled, they can harm your business. Plus, the extra work usually falls on your already-overflowing plate. Instead of waiting until an employee in an essential job quits or gives notice to start recruiting, do yourself a favor and recruit ahead of time. Dedicating 30 minutes to recruiting each week pays off by creating a pipeline of potential talent ready to be hired the moment that vital job becomes open. 4. Use a hiring team to avoid making bad hires. Even the best interviewers routinely overlook crucial details during the interview process. This may prompt them to hire employees who don’t perform as expected and cripple the company over time. But a hiring team can solve this common problem. There are four distinct hiring styles. You are either a Tackler, a Teller, a Tailor, or a Tester. Each hiring style has strengths and blind spots, so it is important to have people who fit each style on your hiring team. Together you will be able to notice any red flags while interviewing job candidates and can work together to choose the best person for the job. 5. Make the most of referrals. Word of mouth is a great way to find talent and fill open positions in your business. Ask for referrals among all your networks, including vendors, former coworkers in good standing, present coworkers, fellow business owners, and friends and family. Investing just a few minutes each day in referral recon pays off in dividends. Don’t hesitate to make a quick phone call or send a short email to anyone you think might know someone great. It takes almost no effort and could result in new talent for your company! 6. Network with a candidate recycling program. Sharing your mismatched talent with other similar companies is the gift that keeps on giving. With this type of arrangement, companies pass along the talented candidates they can’t use instead of hoarding the talent for themselves. They can set up sharing agreements between competitors, they can agree to “borrow” talent and temporarily loan out individuals to one another, or they can even compensate organizations for locating viable candidates. This form of networking allows the talent to flow efficiently and helps hiring managers staff their organizations better and faster. Businesses should realize that competition is healthy and it signals that an industry is viable. Healthy industries create opportunities for everyone, and candidate recycling programs build a mutually beneficial stream of prospective employees for those businesses. At the end of the day, your employees — and the work they do — make or break your company. That’s why hiring talent better, faster, and smarter is so crucial for every organization. When you optimize your hiring strategies, you’ll begin filling open positions more quickly and hiring the right person for the job every time. Scott Wintrip has changed how thousands of companies across the globe find and select employees, helping design and implement a process to hire top talent in less than an hour. Over the past 18 years, he built the Wintrip Consulting Group, a thriving global consultancy. Scott, the acknowledged leader of the on-demand hiring movement, is pioneering improved methods for recruiting and interviewing job candidates. 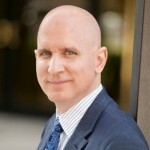 He is author of “High Velocity Hiring: How to Hire Top Talent in an Instant“ .